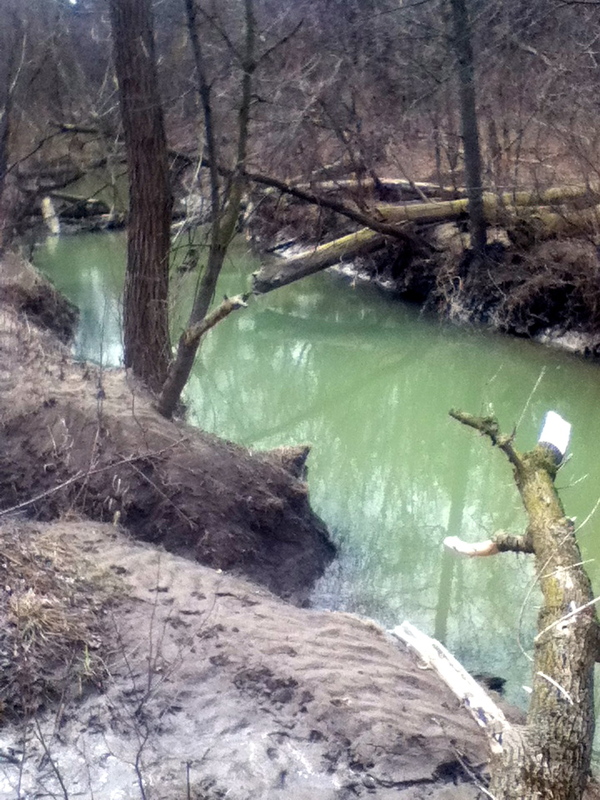 Ancaster Creek, just north of McMaster parking, flowing toward a juncture with Spencer Creek before blending their waters and moving together into Cootes Paradise marsh. This creek has gone by various names over the years, including Red Creek, Coldwater Creek, Coldspring Creek and is usually referred to today as Ancaster Creek. The muddy shores reveal evidence of the creek overflowing it's banks already this spring, a natural and desirable action for specialized floodplain habitat.